Did you ever see hatching chicks at a fair or a museum? I bet it was the most popular exhibit in the place. I know if I ever see one of these exhibits there are kids crushed around it standing 2 or 3 deep with adults lurking behind them craning their necks around trying to get a good look. It is fascinating to watch chicks emerge from their eggs all exhausted, wet and bedraggled and then within a few hours be a standing ball of cute fuzz. What follows are my simple instructions with some hints. A source of fertilized eggs. If you raise chickens and keep your chickens with a rooster, then most of your eggs are likely to be fertilized. 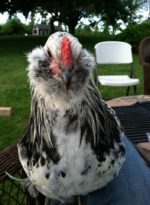 If you don’t already have chickens, you can buy hatching eggs from an online retailer, like Murray McMurray Hatchery (full disclosure – I’ve never tried them). Alternatively, you can often find hatching eggs for sale on craigslist. Beware though – you might not always get what is advertised! Lighter colored egg shells allow you to look into the egg while the chick is developing. Good incubators. I would get the best incubator that you can afford to buy. One with a fan and an automatic egg turner will save you time and anguish. If you can, buy two incubators – one will be for the eggs while the second will be your hatchery. Incubators with windows are great for kids. A reliable way to measure the temperature and humidity in the incubator. Many incubators come with thermometers and hygrometers built into the incubator. We found ours to be inaccurate so we bought an inexpensive one designed for a reptile cage. A strong light source. Early on you will want to check if your eggs are developing. For this, you will need a strong light. We just used a powerful flashlight. A place to put the incubator that is free of drafts. We use our basement room that is also the laundry room/chick brooding area/Spouse’s workbench. A brooder. Once the chicks hatch, you will need a brooder to keep them while they are growing up. Patience. Your kids will ask every day when they are going to hatch. You also might need to constantly protect the incubator from invading hands. 2. Write the date you are setting the eggs in the incubator on the big broad end with pencil (never use pen or sharpie). 3. Place eggs in the incubator with the pointy side down. 4. Wait. It takes 21 days for a chick to hatch. Check the incubator every day for temperature and humidity, add water as needed, turn the eggs manually twice a day if your incubator doesn’t have an egg turner. 5. “Candle” the eggs beginning on day 3-4. Candling an egg refers to the process of shining a strong light through the egg so you can observe what is going on inside. At about day 3-4 you should start to see blood vessels forming and sometimes a small dark spot that is the embryo. If you do not see these, then your egg probably isn’t developing properly and may be a dud. Don’t candle the eggs too often. We looked at ours at day 3, day 7 and then about 1-2x a week after that. On days 7-10 you should see an air sac forming at the broad end of the egg. This site has a great diagram of candeled eggs. 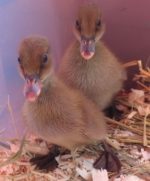 It is for duck eggs, but chicks are essentially the same, just a shorter incubation time. This is a great experience for the kids. They actually get to see the embryo developing inside the egg. Eventually the chick will fill up the egg and it will be difficult to see anything. And take it from me – it doesn’t work with blue-shelled eggs or anything darker. 6. About two days before you expect the eggs to hatch (this is why you wrote the date on them!) stop turning the eggs and/or move them to your “hatchery” incubator. If you have eggs in the same incubator that were set at different times, then you are going to need a second incubator. From my experience, a chick can hatch in an incubator with the egg turner on (yup, happened to me) and you will be surprised when you peek into the window! But it is not optimum. The chick might have difficulties emerging or be malformed because the egg is positioned wrong, and bacteria from the hatched egg may coat the still-incubating eggs and infect them. 7. The day you see a crack or small hole in the egg (the chick has pipped) will be the most exciting day in your household. Let the kids look through the window at the emerging chick, but try not to open the incubator. Allow the chick to hatch on its own (it can take 24 hours) and dry off in the incubator before moving it to your brooder. Grade level: Pre-school to adult. Difficulty rating: ♥♥♥♥♥ (out of 5 hearts). This is a pretty intensive project. *Please don’t hatch chicks at home unless you wish to raise chickens or arrange for a farm to take them. 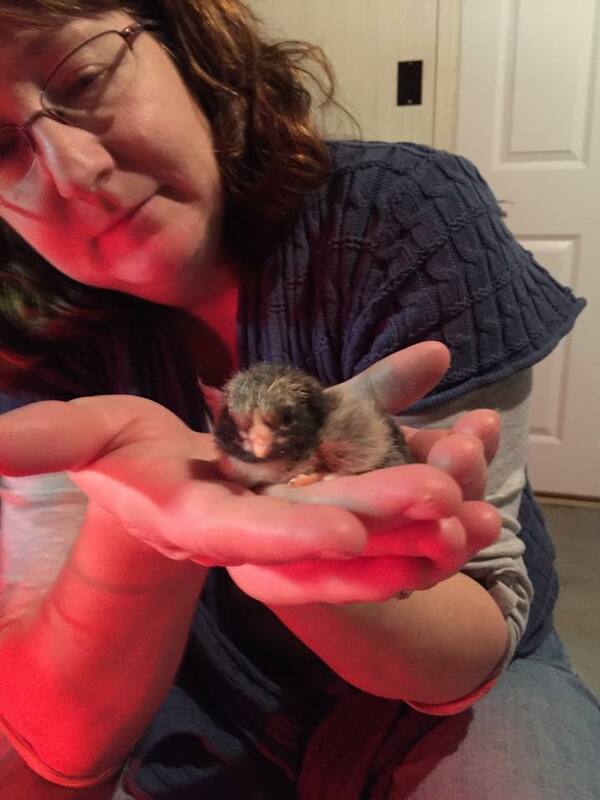 Read more about how we started hatching chicks on our farm blog.